I found the cutest peppermint spoons (Wiltons) for hot chocolate a few days ago. I bought two boxes, one to give to a friend and one for us! They were sooooo cute I thought I would use one spoon to make a mold so I could enjoy even more spoons! 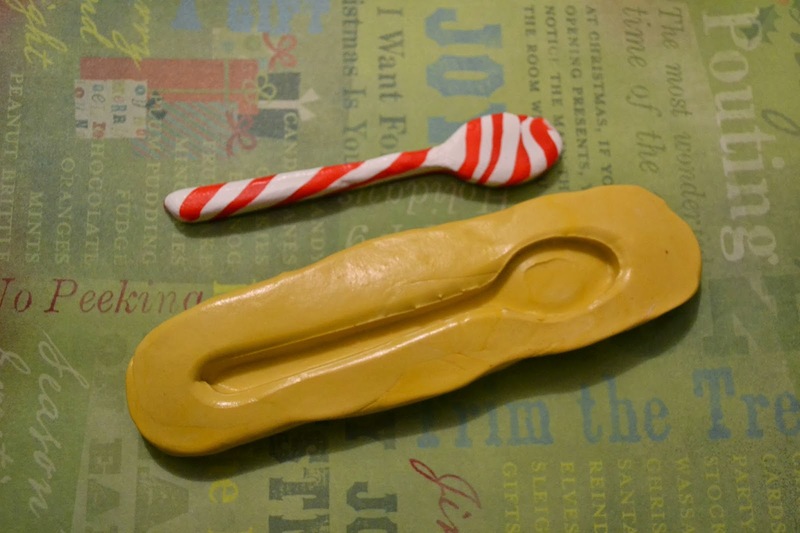 Chocolate spoons, hard candy spoons, the possibilities are almost endless. 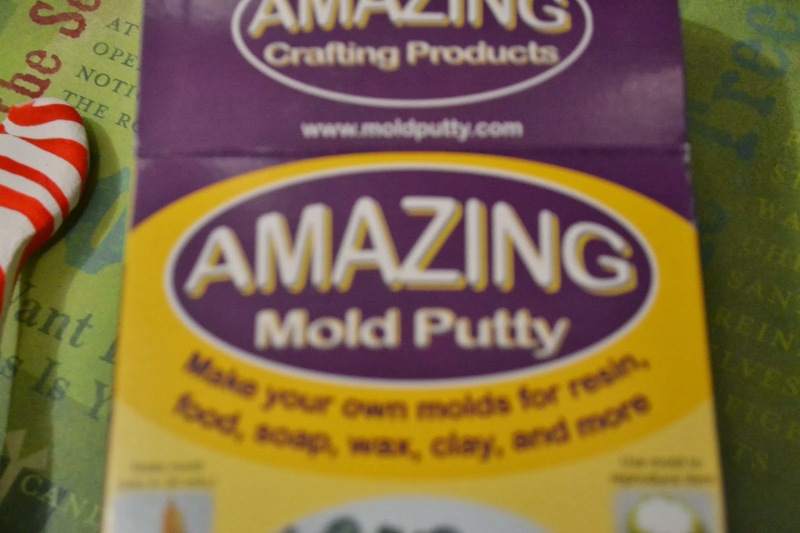 I used a food safe molding compound, followed the directions and within a few minutes I was able to press the spoon into the putty. 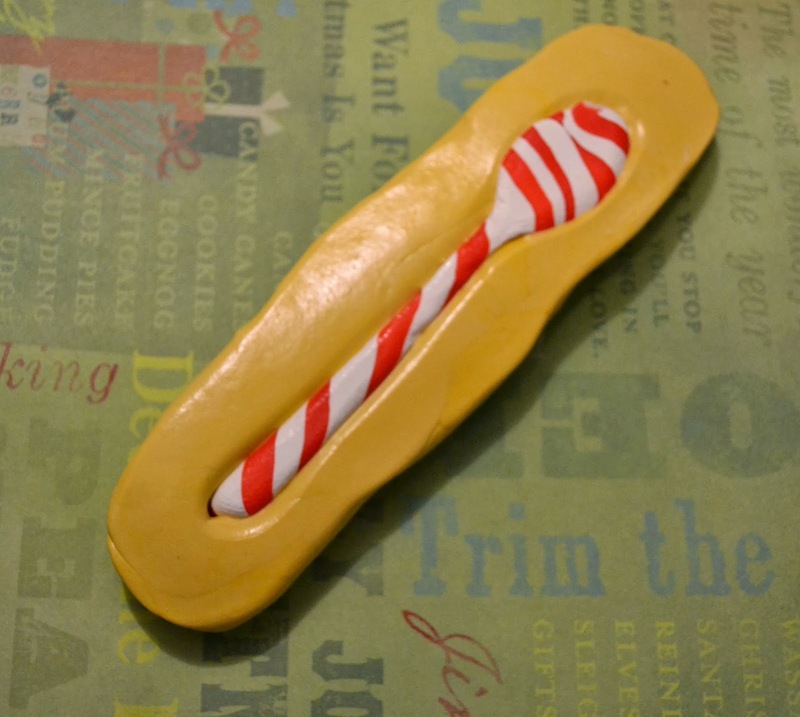 Be sure and mold the putty on the detailed side of the spoon. I waited a half an hour (got busy with something else and forgot about the mold.....oops) and then easily got the spoon out. Now I have a mold that I can use when I have a need for an edible spoon--yippee! 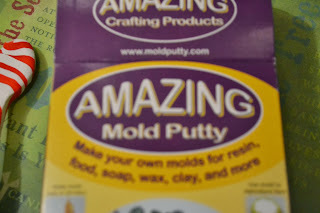 This is the putty I use! It is so great I always have a bit of it on hand......call me crazy but I get a little anxious if I run out.